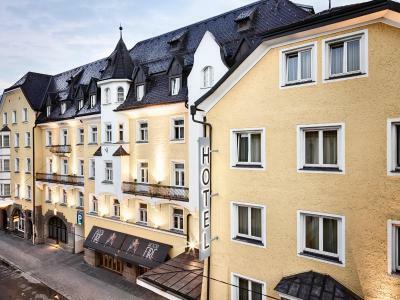 Lock in a great price for Hotel Grauer Bär – rated 8.6 by recent guests! Excellent location, friendly staff. Great value for the money. Breakfast was very filling and generous. It is very nice to see what people in other countries eat. Location is excellent and staff is extremely pleasant. This hotel was great. We had 4 children, two adult children and grandparents so, 10 people total. The quadruple rooms were spacious and the full bathtub was perfect. Much bigger than most European hotels. Right next to old town and close to the bus transit to the ski hills. The staff was very helpful in finding everything including how to get to ski hills, which offered tobogganing and where to eat with that many people. Our fourth time staying here. Always pleased with everything about it. Would always be our first choice when in Innsbruck. It is a popular hotel. The location was great, breakfast had lots of options. Loved the sauna and pool area. Good sized rooms, comfortable bed and modern large bathroom. Great view of the mountain and the room was quiet as requested. Good facilities all round. Caroline Plank was a credit to the hotel and assisted us in sorting out a couple of issues that arose with the non-arrival of our transportation (we were a group of eight) and a restaurant booking duplicate booking at Ottoburg. She dealt with the problem very professionally. The room was very nice and the bathroom was spacious. The breakfast was amazing! A nice bar. The location was excellent! Within easy walking distance for tourist sites and tours. I would definitely want to stay here again! Great spread for breakfast, with cappucino spewing forth like fluffy clouds, if a little scary at first from the explosion of foam coming from the use-it-yourself coffee maker. Hotel Grauer Bär This rating is a reflection of how the property compares to the industry standard when it comes to price, facilities and services available. It's based on a self-evaluation by the property. Use this rating to help choose your stay! 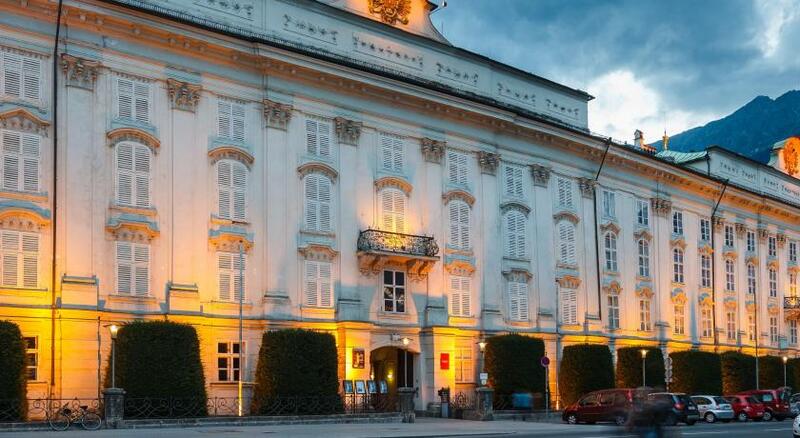 One of our top picks in Innsbruck.The Hotel Grauer Bär is in the center of the city of Innsbruck, just a 2-minute walk from the historic Old Town. It has air-conditioned rooms and a spa area with a panoramic swimming pool on the fifth floor. There are 2 restaurants and a hotel bar. 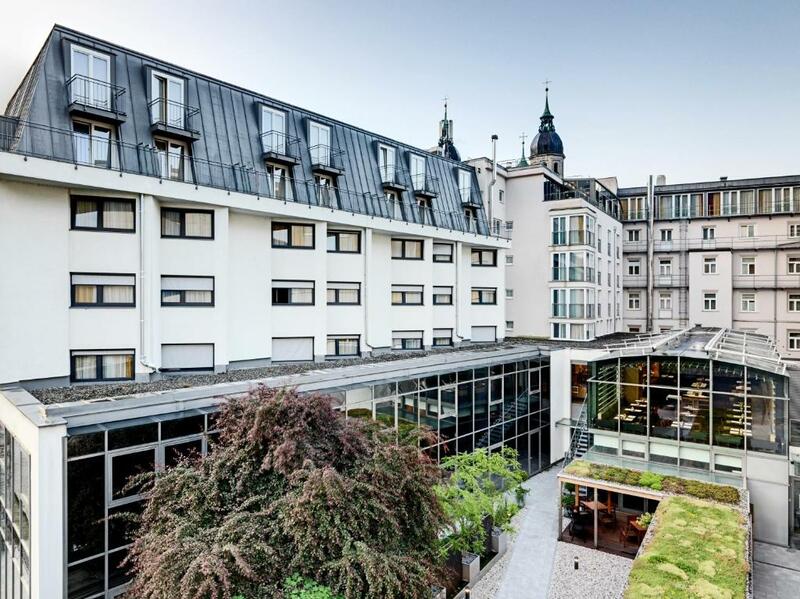 From the breakfast room and the spa area of the Grauer Bär Hotel, you can enjoy panoramic views of the roofs of Innsbruck and the surrounding Tyrolean mountain scenery. 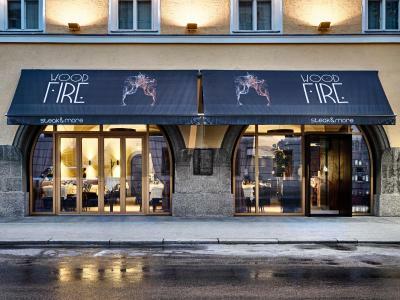 The Woodfire restaurant serves steak specialties, including dry aged beef. The lobby area has been completely renovated in July 2014. Innenstadt is a great choice for travelers interested in shopping, old-town exploration and atmosphere. 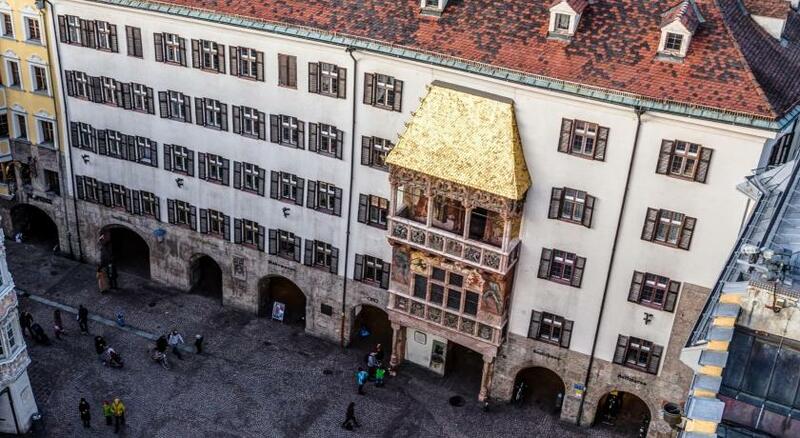 This is our guests' favorite part of Innsbruck, according to independent reviews. 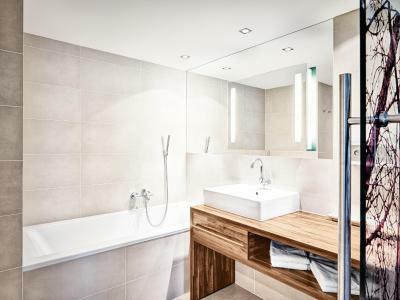 This property also has one of the top-rated locations in Innsbruck! Guests are happier about it compared to other properties in the area. 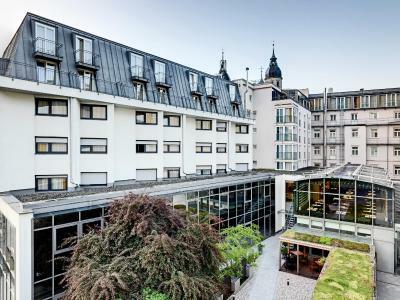 When would you like to stay at Hotel Grauer Bär? This spacious room includes a flat-screen TV and minibar. Some rooms have a balcony. Room with 3 standard single beds or one single and one queen bed. An extra bed is possible upon request. Room with 4 standard single beds or 2 single and one queen bed. An extra bed is possible upon request. Slightly larger than Standard Double Room and located on the upper floors of the building. Spacious suite with a double or twin bed in a separate bedroom, a sofa and sitting area in the living room, an additional toilet and a spacious bathroom with a bathtub and a large walk-in shower. What we offer In the last few years the whole hotel was re-developed to accommodate the needs of a modern event or a conference whilst also offering a four star service as a city hotel. The numerous banquet rooms offer the ideal place for smaller or bigger events and provide the freedom for you to realise your own hosting ideas. Hotel surroundings – This neighborhood is a great choice for travelers interested in shopping, old-town exploration and atmosphere – Check location Excellent location – show map Guests loved walking around the neighborhood! 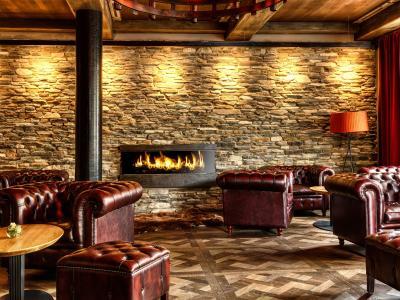 House Rules Hotel Grauer Bär takes special requests – add in the next step! One child from 0 to 2 years is charged EUR 10 per person per night in a crib. Hotel Grauer Bär accepts these cards and reserves the right to temporarily hold an amount prior to arrival. 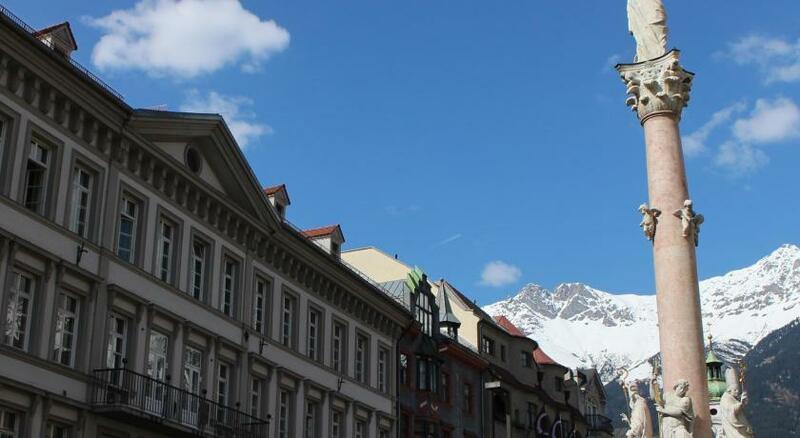 One of the most picturesque neighborhoods in Innsbruck! Cleaners walking straight into the room before we had a chance to answer the door. Staff at the restaurant was very cold...reception staff was friendly. The photograph of the hotel on the site is of it's back part..which one would not visit..this is a bit misleading while booking. A Tiefgarage for hotel guests would have been super. We used the closest city garage but still had to pull our luggage a short distance outside. Otherwise, no complaints. The room was large, clean, quiet and had 4 actual beds, not a sofa bed for our boys. We enjoyed the hot tub, breakfast and close proximity to the Old Town for our one night stay. Everything was really suitable for us. Shame they didn't plan the catering and ran out of food one evening. 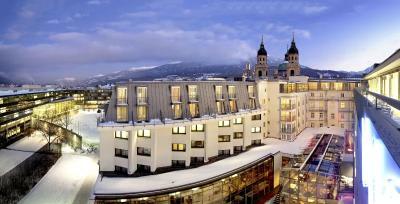 Great location for visiting Innsbruck and recovering from a weeks skiing. The staff was so rude. The hotel parking is under repair and closed. The reception guy advised us to use public parking instead but the parking was so huge. We had problem finding the way to the elevator that directly connected with the hotel. We went back to ask the guy twice and he made some annoying face to us. Bad service given that this is 4 star hotel. There is not enough sitting facilities and side tables. Room was right across from cafes/discos that had very loud music and partying which was heard because of smokers going in and out until 3am when I finally was able to go to sleep. Breakfast Buffet hat way too many meat cheese options in comparison to fruit and vegetable options. So many complicated meats and sausages but no plantbased alternatives. Parking was expensive. Parked on street which said parking was allowed after 16:00 when I parked but the next day I got a ticket for 25€ and no idea why, but the stress of going to court to dispute is not worth it. Jacuzzi, Swimming Pool on Roof overlooking Alps! Room was big and clean. Breakfast had vegan magarine, rice, beans and water melon. Staff was friendly. Location next to Landestheater and 5mins to river by foot. Facilities basic for a 4 star hotel. Small bath towels, poor choice of teabags in room, no shaving mirror, not enough towel rail space in bathroom, no where to eat in hotel if not on half board, no room service. Great breakfast. Good location. Friendly helpful staff. Clean comfortable room. Loved it!! Great gym and pool.